Money on a child's account will carry over from year to year and from school to school. Please take advantage of the option to prepay your student's meal accounts. Prepaid meal accounts help the lunch lines go faster and gives students more time to eat, relax, and play. It also gives you the peace of mind of not having to worry about looking for lunch money every day or worry that it might get lost, stolen or used for other things other than lunch. A small transaction convenience fee will apply if you use a credit/debit card for payments. viewing your child's purchase history (last 90 days, 30 days on the mobile). The viewing history will show up on the website once you logout and log back in (after creating the account and adding your children). Payments are downloaded 5:15 am, 6:00 am - 2:45 pm every 15 minutes, 3:30 pm - 6:30 pm every hour. Balance updates upload 5:15 am, 9:30 am, 2:00 pm - 6:30 pm every 1/2 hour. Sales Journals uploads 7:35 pm. Please do not wait until the last minute. During peak times or network hiccup, a payment can be delayed for 1-2 days. 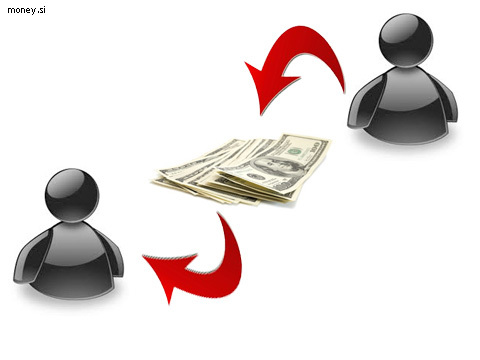 Need to Transfer Funds from One Child to Another ? Envision Payment Solutions TM has been selected by the Loudoun County Public Schools, School Nutrition Services, as its check service provider. We began our partnership with Envision December 2010. Envision will be handling all returned check collections and resolution of fees owed. 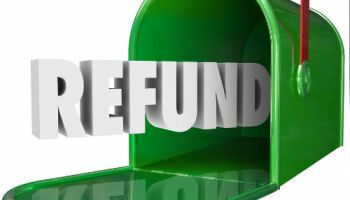 If you wish to inquire about a returned check, written to the Loudoun County Public Schools, School Nutrition Services, please contact Envision Payment Solutions TM directly. 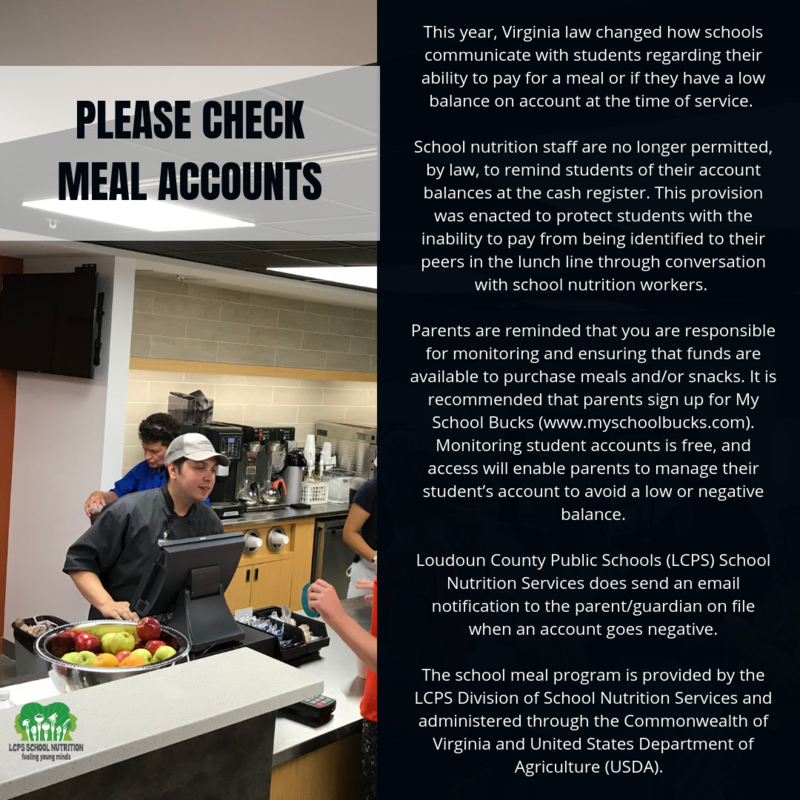 By presenting a check for payment on your student’s lunch account, you authorize service charges and processing fees to be debited from the same account should the check be dishonored. 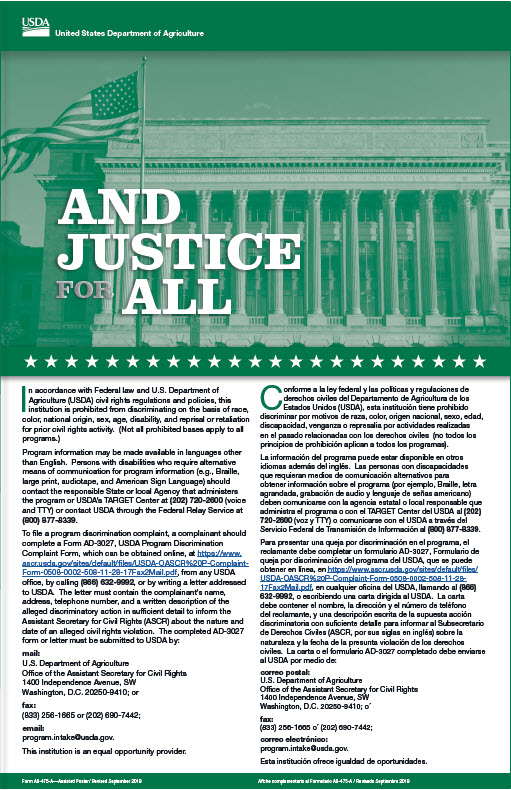 These fees, as permitted by state law, may be debited as a paper draft or an electronic funds transfer, at the discretion of Envision Payment Solutions TM. Each dishonored item is subject to the applicable state returned check fees. 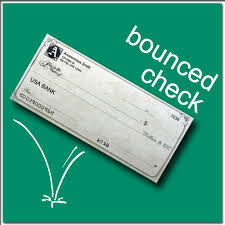 Please be aware if your check is returned, it may be re-presented to your bank account electronically.